Winter Light is perhaps the most underrated film in Ingmar Bergman’s vast cavern of cinematic output. It is also perhaps his biggest call to arms film in regards to demonstrating the power of the human face. The Theological grappling in the film holds no personal interest. 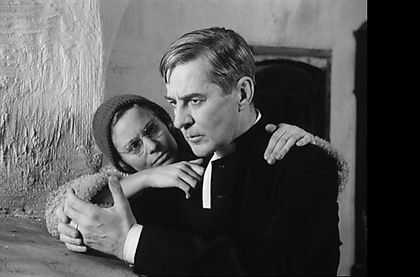 However, Bergman’s camera, and how it captures Gunnar Björnstrand’s face demands my attention and stakes in his crisis of faith. This central virtue speaks to the power of cinema and how it can transcend language, culture and religion in order to speak to us on a primal level.